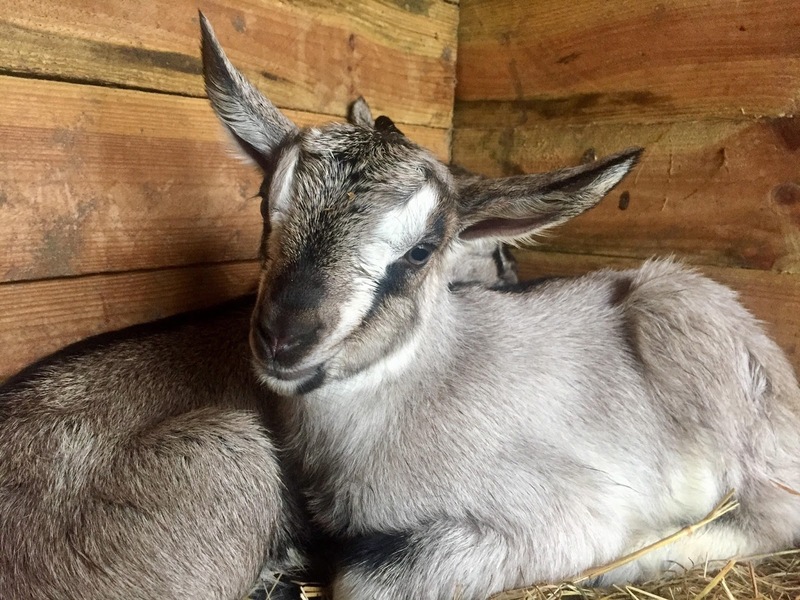 Butser Ancient Farm are delighted to announce the birth of twin baby goats this morning (15th May). 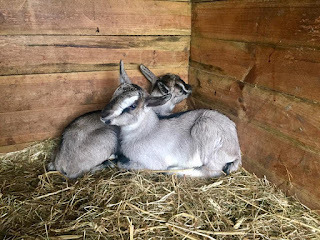 The two boys were discovered by staff member Tiffany Francis and are the sons of our English goat Sorrel, who came third place in her category at the Singleton Rare & Traditional Breeds show last summer. English goats are a traditional breed in Britain and there are only 1800 individuals in the country. At just a few hours old, the boys are already exploring their paddock and tiptoeing out into the rain under Sorrel’s watchful eye. Based on past experiences at the farm, the next few months will be full of mischief and mayhem as the two boys will find every opportunity to escape their paddock and explore the site. The boys have not yet been named but will probably go with Butser tradition and take a botanical name like our other goats Sorrel, Yarrow and Comfrey. 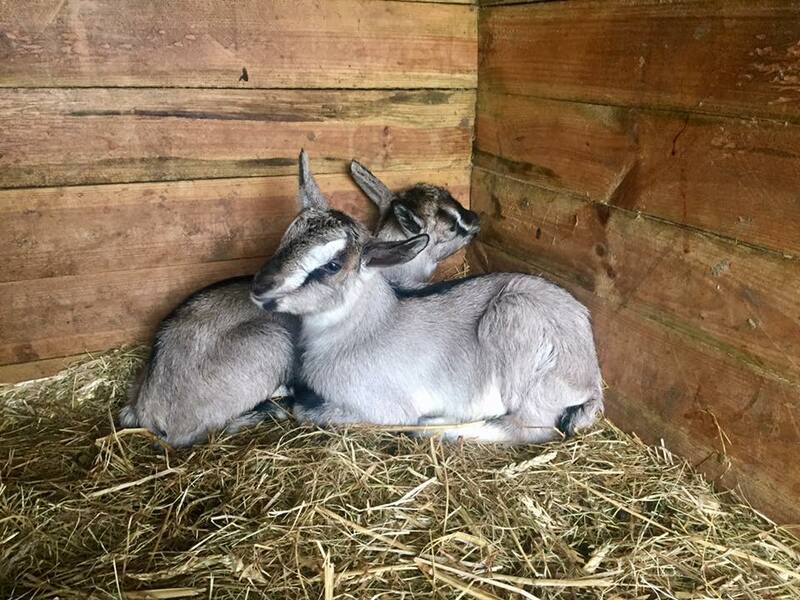 Now is the perfect time to visit the site and meet our new arrivals in the beautiful spring weather, as we are now open seven days a week!